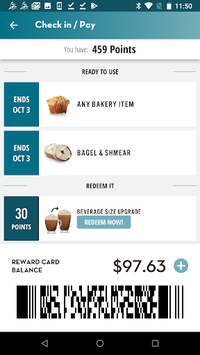 The Caribou Coffee® mobile app is the most convenient way to pay, check in with Caribou Perks™ and fuel your day. Mobile pay means you can leave your wallet at home, and using the app to check in with Caribou Perks means earning and redeeming points is easier than ever! Mobile pay makes it easy to scan your app, grab your favorite coffee and something to eat, without fumbling through your purse or wallet. Use auto-reload to keep your app charged up and ready for your adventures. You can also transfer funds from another Caribou Card® into your app account. 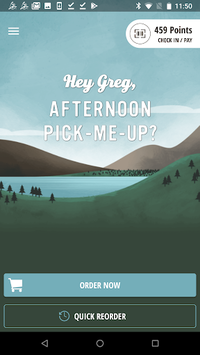 Everything you love about Caribou Perks now lives on your phone. Check your app to see current rewards, and show us your barcode to check in and get one step closer to a wonderful surprise. Not a Perks member yet? Sign up right from the app, and earn any beverage on the house after your next visit! Need coffee now? 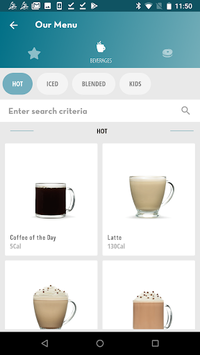 Quickly find your nearest Caribou Coffee using the mobile app to conveniently fuel up and get on with your day. Make someone’s day with the gift of Caribou Coffee. You might not know their favorite drink, but sending an eGift from the Caribou Coffee mobile app is an easy way to let them know you care, with each and every sip. Searching for your new favorite drink? Our entire menu is just a few taps away, ready to browse. Need nutritional information? It’s easy to find on the go.